I am not sure even where to begin with this. There is so much that I want to express and I am not really sure how to get it all out in written form. There is so much more to the birth of your child than you can really ever express to someone. It is a moment in time that will always stand still as its own very magical moment in your life. No matter how tough it is, as soon as its over and you are holding your little one the experience cements itself in your brain as this very surreal time frame that really can’t be explained in full detail to anyone that wasn’t there with you. That’s how I feel anyways. Rowan was 9 days late. Every day that went by that she didn’t come had me more convinced that she was never coming. Then one night at 3:30am in the morning I woke up and all that changed. I had mentioned before that my family had come out on Friday night because my midwife told me I was 3 centimeters dilated and could go anytime. I wrote how we spent the evening swimming and eating chinese food. It was a wonderful evening except there was still no baby. Kev and I were sure she was going to come that day. Friday ended and Saturday began and we filled the day with activities to keep us all (kev, me and my family) entertained. We went to a Tugboat Fair on the waterfront, we went for a walk around Peebles Island, we went and saw Toy Story 3. We even came back to our place and watched Fantastic Mr. Fox all together. We finally had to say good nite to my family and they went back to the hotel. I was pretty discouraged. Everyone was here to welcome this baby and she just was not coming. That night Kev and me got into bed and spent what seems like forever talking, giggling and just enjoying each others company. It will be a night I will always remember. It was if we were both waiting for that evening to happen. It settled our nerves and I think deep down made us ready for Rowan to arrive. We fell asleep that night holding hands like we always do. At 3:30am I woke up. My stomach was killing me. So crampy. I got up because I thought I had to go to the bathroom. Nope and then my stomach started feeling better. I went back to bed. I woke up again about 15 mins later. My stomach killed again. I laid in the dark room wondering is this what contractions feel like? I wasn’t sure. I grabbed my iphone and looked up “what do contractions feel like?” haha. After reading some message boards and getting the consensus that they do indeed feel like very strong period cramps. I was sure I was having contractions. I got up. Walked around a little bit trying to get myself ready for what was ahead. I said a prayer that I would stay calm and that Rowan and myself would have a safe and health labor. I woke up Kev. We started timing the contractions and they were coming every 5 mins. Kev kept telling me we should call our midwife, I wasn’t ready though. I really wanted to stay home as long as possible, but within 30 mins of having 5min contractions they were down to 2 mins. I finally agreed. These were no longer strong period cramp feeling contractions. She told us to come in. So off we went to the birth center at the hospital. It’s only about 10 mins away but it seemed to take forever. Every bump was torture. The contractions were getting more intense with every one that was coming. I was still in good spirits and was able to breath thru them. We got the the hospital at exactly 6am. We went upstairs and I got checked in. I got into our room and the contractions were getting very, very intense. Walking around was not cutting it anymore for easing the pain. I was starting to moan thru each one and I was starting to get a little scared. My mom hadnt arrived yet and it was just Kev and I in the room. We were waiting for the nurses to come in still. I remember starting to cry and I asked kev “what if i couldnt do this? What if I can’t do this with out an epidural?” I really wanted to go natural. Its not a choice for everyone and I don’t have any judgement on anyone and how they labor but for me that is what I wanted. So badly too. He told me he knew I could do it and if I wanted to have a natural birth he had faith in me that I could do it. The nurses came and said I had to get into the bed for just a few mins so they could monitor the baby, see how everything was going and do an exam. They checked and I was still only 3 centimeters dilated. Ahh I was crushed. I thought for sure I would be farther along than that. Sitting in that bed while they monitored the baby for a bit was absolute torture. Having contractions while laying there was the most pain I felt. I hated every minute of it. At 7am there was a staff change. The new nurse that came in was seriously like my guardian angel. I really feel like she helped me in the exact way I needed. Tara was a young, super sweet, gentile natured girl. She came right in got me out of the bed and got me set up on a birth ball next to the bed. She kept telling me I could do this and I believed her. As soon as I was out of the bed and on the birth ball the pain became so much more manageable. I straddled the ball and leaned forward with my head on a pilliow on the bed. I rocked from side to side to help move the baby downward. Kev sat behind me rubbing my back and pushing in when I had a contraction. Everything was more intesnse. The contractions were coming so fast. When they hit you- it takes over your entire body. It takes everything in your power to try to not tense up thru them. This part really all becomes a blur to me. I think I was very focused and almost kind of retreated into myself a little. I remember listening to the music, laying my head on the pillow, and focusing on rocking side to side. Every once and a while I would hear my mom tell me to take a drink of water and she would hold a cup next to me with a cute pink and white stripped straw from our baby shower so I could sip some water. I never got angry or snappy. I was just quiet. No talking. I could also hear kev whispering to me every once in a while, telling me he loved me and that I could do this. I sat on that ball and rocked for a very long while. I started getting the urge to push with each contraction at around 8am. They were surprised that I was already feeling that so they got me back on the bed to check and sure enough I was already 8 centimeters dilated. They could feel that the baby was ready to come but because my water hadn’t broken yet it was slowing her down a little. They told me as soon as the midwife was there she would break my water and that the baby would “ride the wave” out. Waiting for the midwife seemed like forever. I was def. in transition. I sat back on the ball and rocked. All I could think about was to contining to rock back and forth. There was an emergnecy c-section down the hall so the midwife that was coming in for me had to go into surgery. They called another one of the midwives. I had to wait a little longer. I was passing out in between each contraction. Exhaustion starts to take over. I wasnt sure I could do it anymore. I think I started whimpering and crying. I was tired. Everyone ralled around me and were so encouraging. The 2 nurses were so great to me. The last 30 mins were extremely hard. I remember finally hearing Margarets voice in the hall. She was one of my favorite midwifes and I couldnt be happier that she was finally here. She came into the room. I got back on the the bed and she broke my water. It was a rush of very warm water. She told me if I wanted to I could start pushing when I was ready. It seemed so surreal. The room was so calm. It felt like a cozy little bedroom. My midwife sat right on the bed with me, coaching me thru what I needed to do. The nurse held one foot, Kev held the other and I grabbed under my legs. When I had a contraction I would lean forward and push with everything I had. I remember feeling a very distinct movement the first push. I feel like I actually felt her move down and become ready to come out. I felt a burst of energy. I could feel her with every push. You really have to push and give it everything you have. I didn’t push all that long. Maybe 15 mins. I remember giving it that last final push and having the greatest feeling of relief. It was like this rush and then everything was over. She was born at 9:38am and weighted 8lbs. 11oz. Rowan was instantly put up on my chest, covered with blankets and there for me to hold. It was absolutely amazing. Tears just pour from your face as you look at this little being that you just birthed. A real little baby. The room may have been busy but I dont remember any of it. I laid there in a bubble with Kev and Rowan. In that moment it’s all that I remember, crying and laughing with Kev as we stared in disbelief at our 1st baby. She was perfect, half me and half Kev. I hardly remember having to push out the placenta or that I even had to be stitched up. You are so focused on the baby that nothing else seems to matter. I did tear a little and I got 3 tiny stitches. At the birth center they let you delay everything that needs to be done to the baby for up to 2 hours. We totally opted for that. We took those 2 hours to sit in the room by ourselves with her cuddled together on the bed. Letting her get to know us and feel safe and secure in our arms. It will be 2 hours I will never forget. What a magical moment. The whole thing although hard was everything I had hoped it would be. Afterwards you are on cloud nine because 1. you are holding your baby but 2. You feel like super women. I was so proud of myself for what I just accomplished. That is why I say it was amazing. It was such a rush of emotional highs and lows, but to go thru that and then be rewarded afterwards with a healthy beautiful baby. No feeling can top that. I still look at her now a month later completely in shock that she was inside of me, that I pushed her out and that she is here. It is so crazy sometimes to think of. I have to say our nurses, midwives and birth center were the perfect match for us. That is the only advice I would give someone in all this. Every women labors different so there is no right in wrong in how you give birth but just make sure you are giving birth in a place that supports you in every way. A place where you trust every thing they say and a place where you know your voice will be heard. It will make for such a rewarding experience in the end. I wanted to give birth in a very natural way. I didn’t want lots of cords, and machines and drugs. For me that is what worked. Our room was calm, relaxed and I was able to move around. We had Cat Power playing the whole time. It helped keep everything feeling relaxed. I wanted the baby to come into this world feeling that calm atmosphere. To Kev and My Mom: I could not have done that with out you. You helped keep me calm and were there for everything I needed. You encouraged me thru every doubt I might have had and I love you guys forever. Rowan Winter is our perfect little baby and I love her more than I ever thought I could. Beautiful pictures of Rowan…a new life is truly amazing!! such a beautiful birth story. i’m so glad you were supported and realized your goal of having a natural birth. As a natural birth advocate, I love reading stories of women being supported in different birth environments. Wow! It all sounds so scary, exciting, and wonderful at the same time. I think I would be crying the whole time haha! You are a super woman! beautiful, beautiful story. Well done, momma! 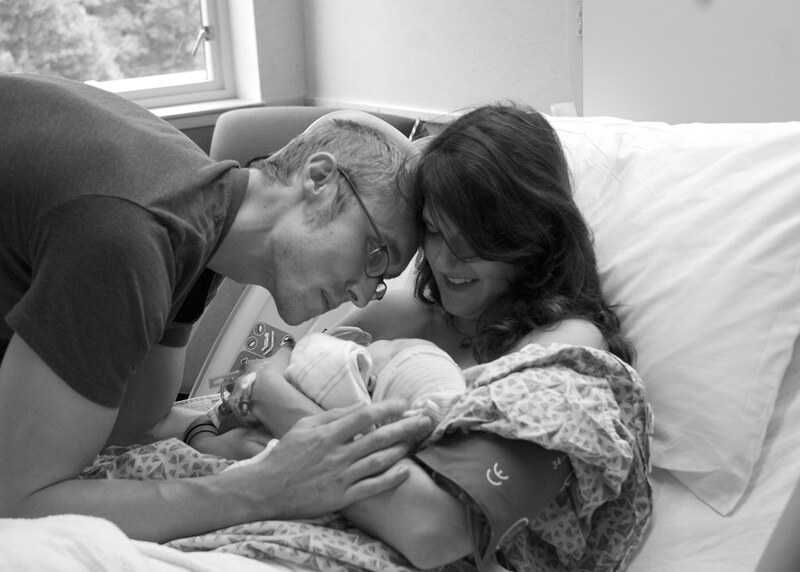 Jen, thank you so much for sharing Rowan’s birth story. Although being a mom is still a few years away for me, it’s still something I think about a lot and am a little scared of, honestly. Your honest and frank birth story helps clear up some of the scary unknowns about labor and eases my mind just a little bit. Thank you! I’m so glad that you got to do the natural birth and that it worked out good for you! My goodness you brought tears to my eyes and warmth to my heart with your beautiful story! It’s been 8 years since my last baby was born, and you are right…it is the most amazing experience and you descibed it wonderfully! Much love and happiness to you and your inspirational family! Jen- what an amazing story. thanks so much for sharing! I really appreciate how comfortable you feel getting personal on here, it’s so inspiring to all us ladies. im always curious about natural vs. epidural and I love your interpretation of feeling like a superwoman! 🙂 thanks again for sharing. Holding back the tears, so happy for you guys. What a beautiful birthy story. Thanks for sharing! I have never been so moved by a birth story. I’m so happy for your family. Congratulaions on your perfect little miracle. Thank you. Thank you for telling the story with so much detail. I know that took a lot of time and time is something you dont have a lot of. I will never have children, and that makes me very very sad. But getting to share in the stories of others is such a gift. Thank you. So lovely. 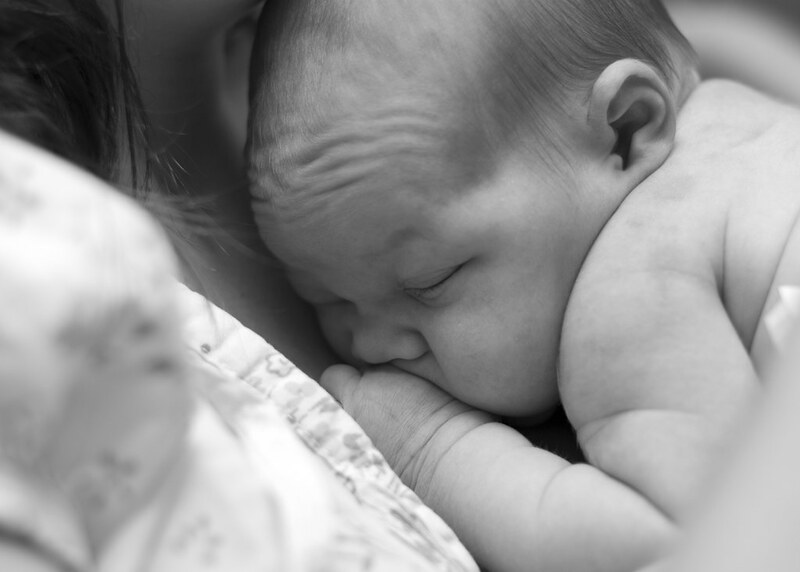 This is very inspiring and such great insight into birth centers! Thanks for sharing! What a beautiful birth story. Thank you so much for sharing with us! You ARE superwoman!! Thanks for sharing with us! So beautiful. I teared up a little bit! oh my goodness, what a great write up. It almost reminds me of the feelings you go through when running a marathon or half marathon. You’re aware of the pain, but your pride and strength in the end is what really stands out when you look back on it. Thanks so much for sharing! Man, I don’t even know you guys outside your blog yet a few tears were streaming down my face as I read this! What a great story, thanks for sharing. I wish there were more birth centers like the one you described. I think they support informed consent for medical interventions during birth, something that is seriously lacking in our health care system. I definitely teared up while reading this. What a beautiful and moving story … Thanks for sharing it! Thank you for giving all the details. Definitely helps prepare me mentally when I’m ready to give birth. Gorgeous story and gorgeous family. Congrats! You go girl! 🙂 I could relate to a lot of your story – that blur that is labor – it takes FOCUS to birth a baby!! I had a flutter of anxiety reliving that time of transition – feeling so discouraged and wondering if you can do it anymore – but then pushing for 15 min. (yeouch!) and the joy and relief!!!!! What a blessing. Oh Jen, I just got teary eyed sitting in a Starbucks reading this story. You are amazing. I am so proud of you and so grateful for your honest accounts of pregnancy, childbirth and motherhood. You are an inspiration! amazing. Thank you for sharing this story. I hope to have enough strength, patience and support to do a natural birth. You just made me laugh, cry, cheer and smile… Thank you so much for sharing. You are superwoman in my book! Thanks for sharing Jen! I’m getting a little choked up reading your story. I’ve never heard of a birthing ball, but yeah, that makes sense that it would take pressure off. It’s so cute that you & Kev hold hands when you sleep. My husband & I do that too. Sometimes it’s the only way I can fall asleep. Congrats again on your lovely little Rowan! This was so, so beautiful to read. It’s such a wonderful, intimate story and I feel honored that you shared it. Oh my goodness Jen, this made me cry on the spot. What a beautiful, beautiful story. You are so blessed! This is so beautiful. I was holding back the tears the entire time. Kev just seems perfect. I am so happy for you and your little Lula family! Rowan is gorgeous and so lucky. I am impressed that you went through labor naturally. I don’t know if I could do that myself. You are a SuperWoman! And you had a perfect soundtrack to the entire process. What a beautiful story! Again, congratulations on a perfect little girl, and thank you so much for sharing your story! sobbing…in a good way! thanks for sharing…makes me so excited for the future. and you are right…you should feel like super woman…congrats to you and your perfect little family! oh jen! i’m just sitting here crying! i love reading birth stories and i LOVED reading yours. thank-you for sharing it with us. i’m so proud of you!!! I am completed amazed and in awe by that story! Thank you so much for sharing it with me and the rest of the world! 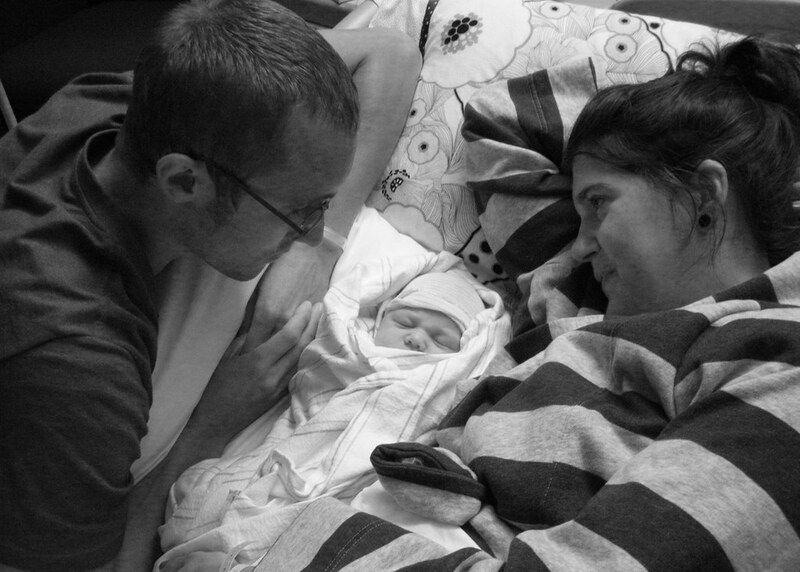 Great birth story, Jen! It’s so nice that things went so smoothly and quickly for you. And seriously, Rowan is just the cutest little girl. I had tears welling in my eyes the entire time. So much love. Thanks for sharing Jen! Erin, a loyal JenlovesKev reader! So, so beautiful, thank you for sharing! Did you guys take any birth classes? If so, what type were they? this is a beautiful story! thank you so much for sharing. definitely teared up. I cried reading this (at work). It’s a little embarrassing… but I just want to say babies that are 9 days late are perfect according to my mother (both my sister and I were). Aww, you totally made me cry. What a beautiful birth! You are such a strong powerful mama! And you and Kev are such a great team. He’s so supportive and right there in the middle of it with you. You are a lucky woman to have a man like that. Congratulations on the birth of your daughter and for having the birth that you wanted. Did you read books or take classes? I studied Bradley Method and had a wonderful natural birth in a hospital too. For my second, after I knew I could do it, I opted for a home birth with a birthing tub. It was even more amazing. I bet you could do that too. You are superwoman! An all natural birth is really something in this day and age! Such a sweet story too and how sweet is Kev! What a wonderful story – it brought tears to my eyes! Congrats on a smooth birth process and your new, little family! Gosh Jen! Your story made me cry! I love your re-cap of the birth story and how open you are about how you felt and how it went. 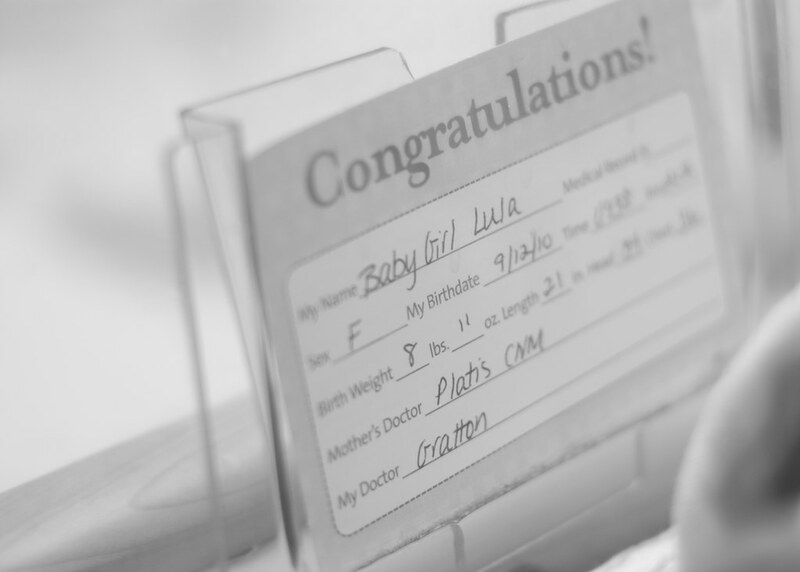 Congratulations on having a beautiful, healthy little girl! What an amazing birth story Jen, it brought tears to my eyes and a smile to my face. You were so brave, you really ARE like Superwoman! I’m so happy that you, Kevin, and Rowan are all happy and healthy and can’t wait to keep reading your baby updates. I love reading these stories about natural birth, I’ve never given birth but the possibility that I might one day is so empowering! Congrats Jenn! You really are a super woman! What a beautiful birth story Jen! I have been waiting for you to post this story and it just made my day! Thank you so much for sharing, it is very encouraging to read these beautiful and positive stories, especially if you are preparing for labour. I love the picture of Kev holding Rowan, so sweet! Thanks so much for sharing the beautiful birth story!! Wonderful! I gave birth three days before you (though I was due 9/10!) and have been following you throughout our pregnancies (I found you through WhatiWore one day several months ago). I’m so glad everything went so perfectly for you – it really is an amazing experience and a tough one to put into words, so good job! Best of luck to you, Kev and beautiful baby Rowan! i’ve been reading your website for quite some time now. 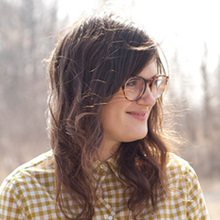 i love your style, but as you started putting up your posts about birth your blog became a little more real to me. as a medical student and one who is really into women’s health, i’ve had the chance to be around natural births, cesarians, and hear stories from physicians, nurses, and midwives. i knew there was a part of me that was drawn to this, but i would always be an outsider, in terms of my incomplete medical training, and in terms of actual experience. i think reading your story made it just that much more real. there was a part midway when suddenly it clicked, and all my experience and memories came rushing back in a way that made for new sense and clarity. what a blessing it was to have shared in your story! by the way, i totally share your views on natural birth and how it is beneficial on so many different levels. i am so glad that you were able to follow through with what you wanted. so empowering. what a terrific blessing. Thank you so much for sharing this with us Jen! This was a beautiful story and you and Kev are so lucky to have each other and now Rowan. I hope someday I am able to create my own little family that is just as loving as yours! lovely. and sweet. thank you for sharing these photos and feelings. i had a very similar experience with my first delivery. and the two following were just as emotional and amazing! your daughter is a beauty and a precious gift!! again, thank you for sharing! Loved reading this story. But I had to skim at parts because I’m at work and didn’t want to cry. What a beautiful story. You had me cloudy eyed! I loved reading your story – I think it will be such a neat thing for Rowan to read especially later on. I know I always loved hearing all those little details of how things happened. Did you have a photographer at the birth centre with you? Can I ask how that was for you if so? beautiful birth story. you guys give pregnancy and parenthood such a good name!! Wow, Jen! Thank you so much for sharing your birth story, I was really looking forward to it as I’m due to deliver my own little girl in about 8 weeks. I was fighting back tears as I read (only because I’m at work; if I was at home, I’d just let ’em fly! ), and I’m so impressed and inspired by you. Just beautiful, mama. Hi Jen, I am 36 weeks pregnant with my second little girl. I am so happy you posted this story. I was just reading through todays blog roll and then literally I was going to google, “what does a contraction feel like”. Even though I have been through it before you kind of forget the pain also I was induced 9 days after my due date and had very strong medicine induced contractions which I am not sure that they feel like the real thing. Anyways, your story brought tears to my eyes and is exactly the kind of thing I want to be reading right now! Oh Jen! Jen Jen Jen Jen Jen!!!!! You are the most amazing, beautiful person!!!! I know you have a lot of readers but I think your blog touches everyone in a really personal way. I’m feel so proud of you!!! This post totally got me through a terrible day, it made me smile and cry and feel so happy for you and your beautiful family! Congrats to you and Kev, you guys are already the greatest parents and Miss Rowan is so lucky to have such a wonderful, powerful, beautiful, life-giving Mom !!!! You are seriously the BEST and most WONDERFUL person on the internet. Your blog transcends. So, so beautiful. I got misty several times while reading this. Blessings to you and your family. beautiful!!! i LOVE reading birth stories and seeing how strong women can be. it really makes me look forward to having a baby! congrats! I recently found your blog through What I Wore and I just wanted to comment that I loved reading your birth story. I’m due in January so I love reading about positive birth stories and yours made me feel like I can actually do this. Your little girl is precious. Wishing you and your husband the very best as you get used to your new life with your beautiful girl! Jen, this is such an amazing story, thank you for sharing this. I always find it amazing how much you let us into your life and your special moments. Thank you. All moms are super women! I had been waiting for your birth story and it didn’t dissapoint! girl, you are a rockstar! this is exactly how i hope my own birth plan can go when it’s my turn. you are awesome. 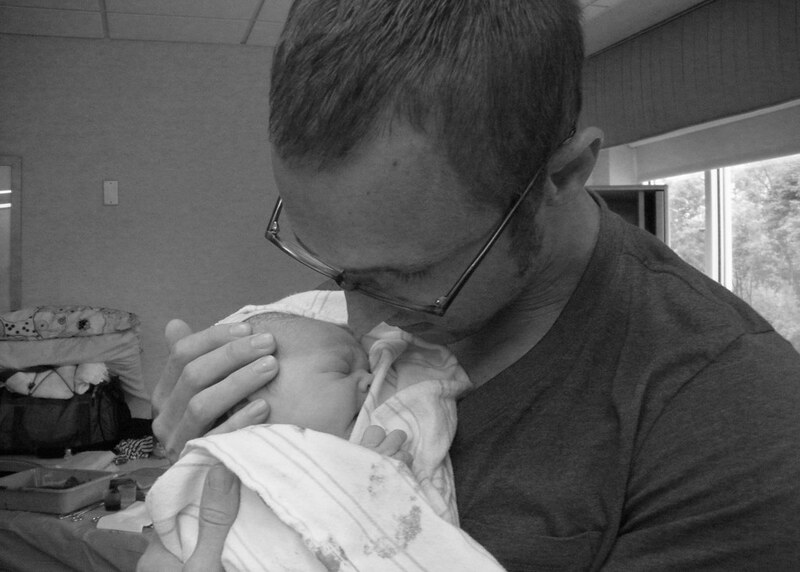 and rowen is such a sweet beautiful baby…congratulations to both of you, you created someone so amazing! What a beautiful post! Thank you for sharing your story. It makes me so excited to experience that again in just a few months. It’s funny, but before I delivered our daughter I was looking forward to feeling that pain, like I deserved to feel it (in a good way!). I had planned on a natural birth but ended up opting for the epidural after 13 hours without it. Total my labor was 20 hours long but you just forget about all of it once that baby is in your arms. I love that you are so open and inviting and not judgmental on birthing methods…that is sometimes rare to find these days. It’s so refreshing! After delivering our daughter I felt like a goddess. Our bodies are so crazily incredible! Congratulations to all of you! You have a beautiful little family. Thank you again for sharing!! It’s 2:19 am over here and I’m crying!! I’m honestly crying. This is the most beautiful story ever – I truly feel like I’ve gotten to know you and Kev through this blog. This story is so beautiful – Rowan is amazing, you are just so inspiring, your family is inspiring! Amazing. What a powerful story! Thank you for sharing this intimate and beautiful moment of your life. Beautiful story! Brings back all those memories for me from 7 years ago! You are absolutely right, though. You feel like you can do anything when you get the right nurse. nurses really rock! Thank you for sharing and making me remember what a beautiful day it was for us…You have such a great family! ack, I cried so much reading this! what a beautiful story and family! crying at my cubicle. thanks for your story jen. what a beautiful and incredible story Jen! You really are superwoman! I’m so proud of you and happy for you and your sweet family! Your story is one that so many of us mothers can relate to. Thank you for sharing yours, it brought tears of happiness to my eyes. Congratulations on your lovely babe. First, wow! What a touching birth story!! Your story is so beautiful and I’m so glad to hear that things went as you had planned with the natural birth. The pictures are also so touching. I hope you are enjoying each day!! don’t mind me – just crying at work…. So sweet – thanks for sharing!! Thanks for sharing. It is good to hear an encouraging story with a natural birth. We are working our way there! Thank you so much for sharing your story and such beautiful pictures. Congratulations!! this is a wonderful story! Thanks so much for sharing! Wow! This was awesome. Thanks for documenting this personal part of your life! I have to add that i LOVE LOVE LOVE the fact that you used your iPhone to consult message boards about what contractions feel like at 3am! That’s SO something I would do. What did people DO before iPhone? lol. Oh my god, I cried my eyes out. My husband and I are going to try getting pregnant next year and I’ve been very anxious about the whole process. I don’t have anyone close to me that I can confide in and ask for advise, so I feel very lucky to have found your blog. Thank you for sharing everything you’ve shared, it’s been a great help and a wonderful inspiration. you are amazing. I was so close to crying, reading that. I’ve never heard a birth story before and it seems to beautiful and terrifying. you have such a beautiful family. and you really ARE superwoman! It was such a sweet story so well written. I can absolutely relate and I have tears in my eyes this very moment.I wish you health and hariness for you and tour little family! Her nose is so cute! And wow Jen, I don’t think I could do something like that, honestly. (Even with an epidural :/ ). In my eyes you are superwoman. A good friend of mine just told me the other week that she stopped taking the pill, so it could be that soon I’ll be observing this experience closely as well. I’ll be sure to point her to your blog for inspiration! Thanks for sharing your story. Thank you for sharing this beautiful story, I am not gonna lie. I smiled and I cried remembering the day I had my babies too:) Lovely pictures, God bless you and your family you are truly special. As someone due to give birth in approx 4wks, it was nice to read your post. I’ve enjoyed reading along as you’ve chronicled your journey through life and into motherhood. I’m nervous about my own delivery, having never done this before, but your story was comforting and beautiful and I know my own experience will be more than worth it. Thank you for sharing a part of your life. That was beautiful… thank you so much for sharing with us… Congratulations again on your little blessing! This entry made me cry! 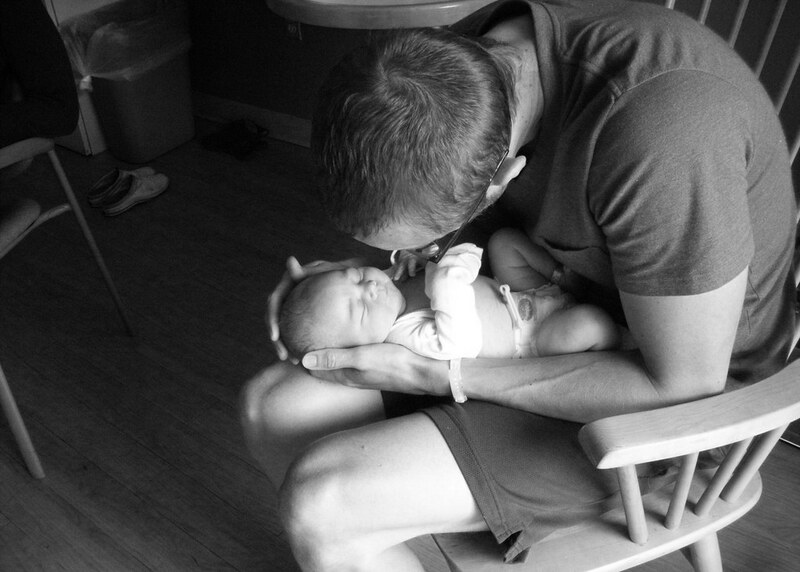 These pictures are so precious … what a wonderful birth story! Tearing up now. Amazing story, and the pictures are beautiful. You can truly see the love in your eyes. Congratulations again to you two. Your words paint a beautiful and peaceful image. Congratulations on such a moving delivery and healthy baby. Stunning and beautiful photos and child. Thank you for sharing these intimate moments with us. Wow, Jen! What a beautiful story! I’m in tears! You have such a beautiful family and congrats again to you and Kev. She is such a gorgeous little girl! Congratulations on your beautiful new baby. Enjoy each other to the fullest! 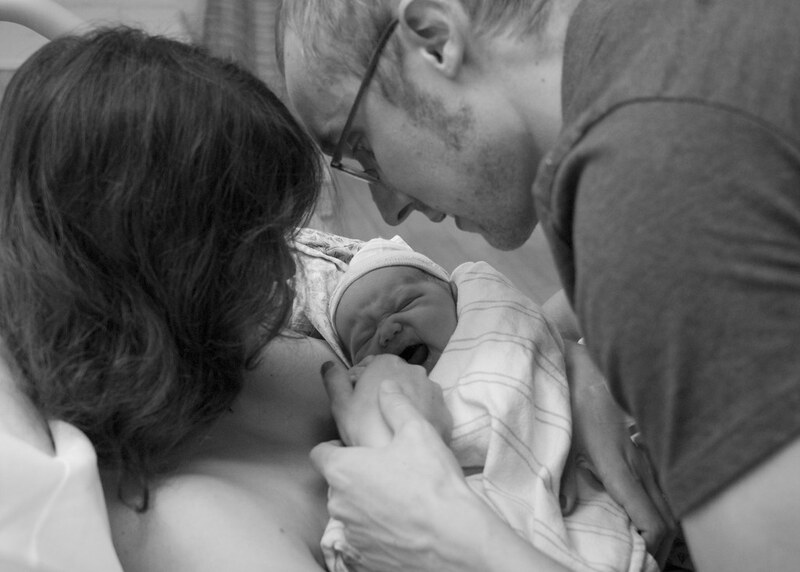 Jen, Kev, WOW… That was a beautiful and amazing birth story. I pretty much cried my eyes out… =) You have a little miracle from God and I wish you all the best! It was so encouraging to hear you push through without an epidural. I hope to have a natural birth and seeing you do it makes it much less scary. Thanks for sharing that! I am due at the beginning of next year and I have been internally debating a natural birth and whether or not I am “strong enough” to endure it. After reading this, it has inspired me and given me strength to believe that I can do it. Thank you.